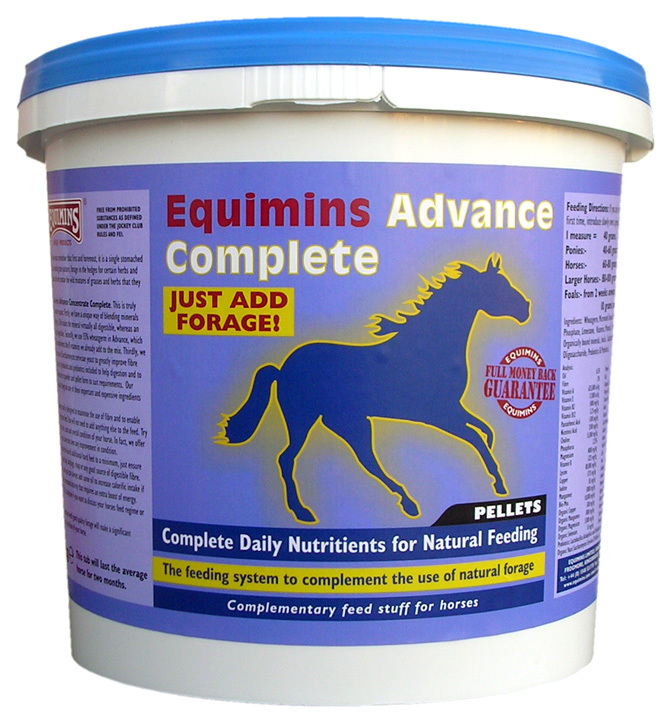 Equimins Advance Concentrate Pellets Equimins brings Advance to the equine world. It represents a huge breakthrough in modern nutrition. For the first time, an important new source of bio available minerals have been used in an equine diet previously only available in human nutrition. Advance contains what can only be described as a truly superb combination of ingredients. The pellets are produced in a cold pelleting system without added steam so that none of the valuable ingredients are degraded by heat, as in most other conventional pelleting systems. The average horse would receive 80 grams a day which means that a 2 kg tub will last 25 days, a 4 kg tub 50 days and a 10 kg tub 125 days. There are currently no questions for Equimins Advance Complete Feed Balancer - be the first to ask one!